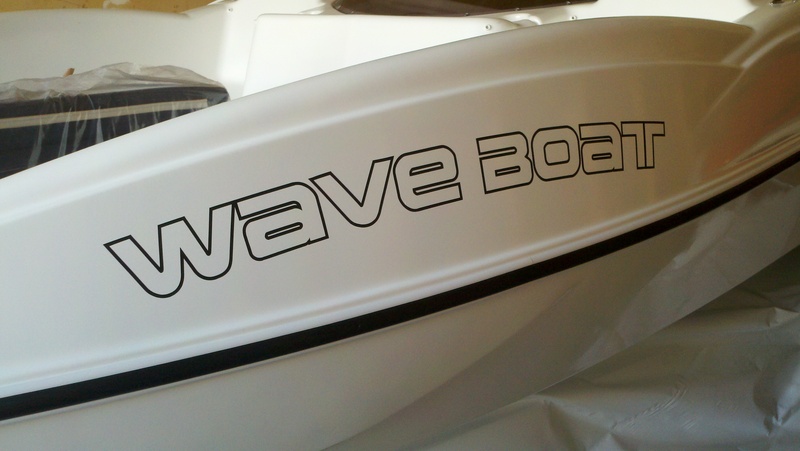 That’s right, serial number 000001 of the U.S. Waveboats is in the shop right now. Well, that’s not the hull ID, but you get the idea. We’re loading it up with accessories to show off all that can be done with this great product. A Fusion stereo with waterproof iPod dock, Garmin chartplotter, LED deck lights, LED navigation lights, electrical system monitor, and a Minn Kota trolling motor are some of the many items that will find their home in the demo boat. We can’t wait to give it a spin, but it will be at least two weeks until all of that goodness is on-board, tested, and ready for the water. Hey, by the way, we update our Facebook page with pictures and status updates more frequently than this website. Why don’t you head on over there and become a fan? It will be easier to stay in touch with us as we build this great watercraft. If you like what you see, why not share it with your friends?